Why Choose Express Modular in South Dakota? Express Modular is a national leader in modular construction. We back it up by being the only nationwide custom modular home builder in the country. Our team of experienced and knowledgeable consultants are here for you. We listen to your needs and then support you through the planning, design, and construction for your new custom modular home. Traditional, on site construction just doesn’t make sense any more. At Express Modular, we choose to only use modular construction to provide custom homes to our customers. We do this because it is important to us to provide the highest quality home at the best value possible to each and every one of our customers. 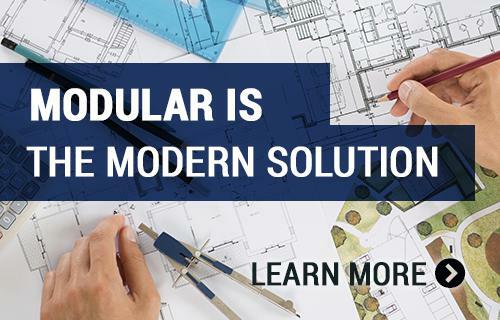 Many of our customers that start to research using modular construction did so because they believe it offers a superior value. While that is one of the top reasons cited for choosing modular construction, it actually ranks as number three. Still others choose to build modular homes because they believe they will get their home much faster than building with conventional outdoor construction. Building in a factory means that your home is built indoors using the assembly line technique and kept under roof and protected from the weather. This means you home is built fast but still, that is only ranked second when it comes to choosing modular construction. The number one ranked reason to choose to use modular construction is the quality. Because a modular home is built in a factory, you get the same quality that you have come to expect from everyday products you purchase that are built in a factory; cell phones, computers, furniture, etc. In fact, would you even consider purchasing one of these products if it wasn’t built using factory precision? Materials used to build your home are stored indoors and away from the elements. Snow and rain never touch the floors of your home while it is being built. Your home is built in an assembly line process that means skilled craftsman, with the proper tools, are trained to perform their specific task correctly in the construction process. Inspections happen at each step of the process. Not only for building code compliance, but also quality assurance. Your home is stronger, more energy efficient, and greener than one built outdoors. Quality is built right in at the factory. After your homes modules are built in the factory they are delivered to your home site on carriers. They are then assembled by lifting them with a crane and placing them gently on your foundation. After they are attached to the foundation and then each other, they become structurally integrated. According to FEMA, the engineering of modular homes means they are more durable than site built homes when it comes to withstanding the forces of storms. Indoor construction means that moisture isn’t trapped in the home during the construction process. This eliminates concerns over mold and mildew. In comparison to site built homes, using modular construction means you are giving your family the additional safety and security they deserve. In South Dakota the Black Hills are the highest mountains east of the Rockies. Mt. Rushmore is famous for the likenesses carved into the granite, of Washington, Jefferson, Lincoln, and Theodore Roosevelt, by Gutzon Borglum. Other major points of interest include the Badlands and the city of Deadwood, where Wild Bill Hickok was killed. Interested in building in South Dakota? We have an extensive selection of modular home plans and a consultant for your area who is waiting to help you with every detail along the way. Let's get started!